We break down the key points from last week's Budget announcement. Chancellor George Osborne’s move should help 95% of savers. It is estimated that 17 million savers will benefit from the changes. This change is also thought to be good news for those who don’t pay tax. 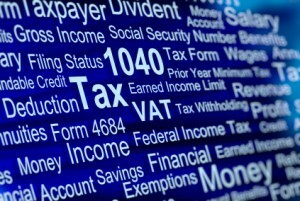 Banks and building societies currently deduct 20% tax from interest paid on standard accounts automatically. Non-taxpayers have to fill out form R85 to claim this money back. However, many fail to do this and end up paying tax as a result. From April next year, banks and building societies will pay interest gross without deducting the 20% tax. This grand gesture isn’t all it seems however as many savers on low incomes will receive interest free of tax soon anyway. Osborne had previously announced another tax-related sweetener though, which is due to come into force next month. This change will see savers earn up to £5,000 worth of interest free of tax. This is based on the premise that their income is below the personal tax-free allowance of £10,600. The new £1,000 savings tax allowance will be in addition to this. When the interest rates rise, savers could be forced into paying tax again. Danny Cox, chartered financial planner at Hargreaves Lansdown points out that cash Isas remain beneficial, especially for 40-45% taxpayers. This is because you will never have to pay income tax, whatever amount of interest you earn. ISAs are also set to be fully flexible come autumn, allowing savers to withdraw cash without losing tax advantages (as long as they pay it back by the end of the year). If you want to find out how the tax changes will affect your savings, you may want to consult an accountant. Use our advanced search to find an accountant in your area.